You are currently browsing the archives for the tag 'intimacy'. This week’s publication about the project «100 YEARS: THE MOVIE YOU WILL NEVER SEE» that will be released in November 2115 has inspired me to today’s post. 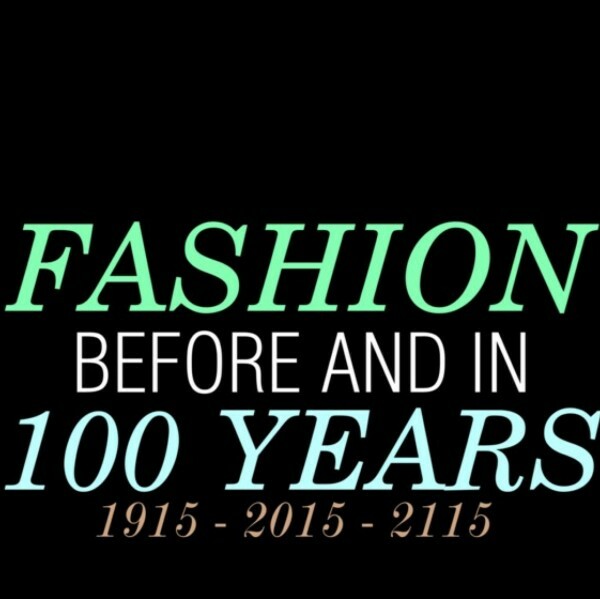 How will fashion probably be in 100 years? Will there be an innovation that will revolutionize the future that we don’t know about yet? Will women rule this world? 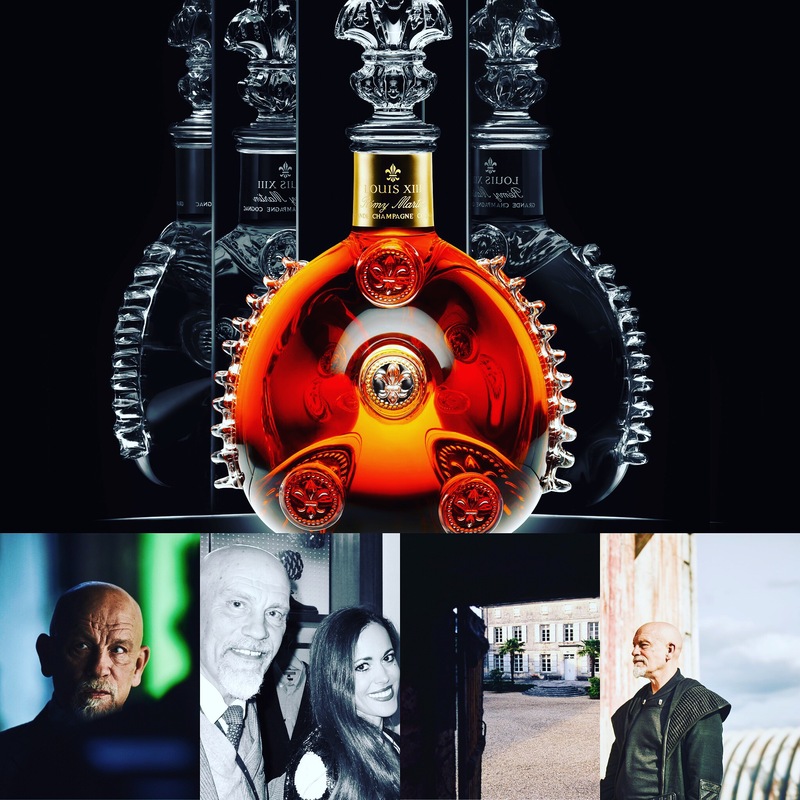 The movie with John Malkovich in the leading role was inspired by the legacy of hundred years of craftsmanship it takes to create LOUIS XIII Cognac. Before thinking of 2115, let’s move back in time 100 years to the year 1915. 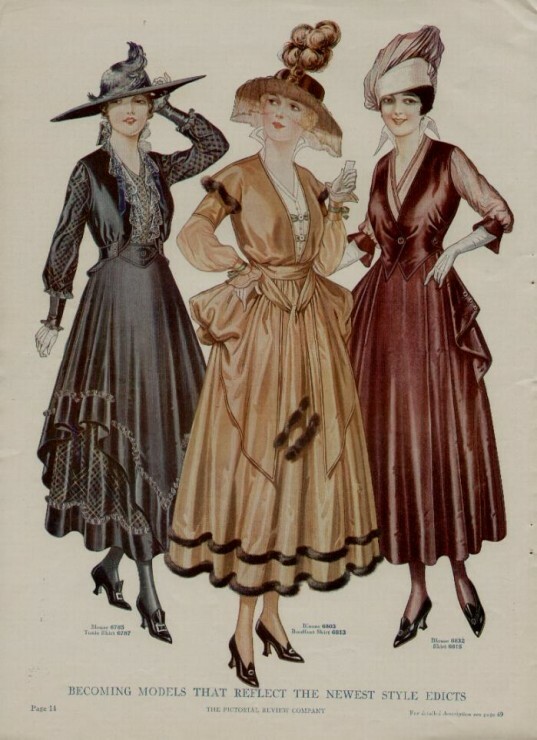 In 1915, women’s fashion was affected by the war in Europe in many ways, necessity was more important than style. The need to be able to move faster as well as the new independence of women also asked for a looser, more comfortable models. The rich opulence that the century had started with slowly disappeared. 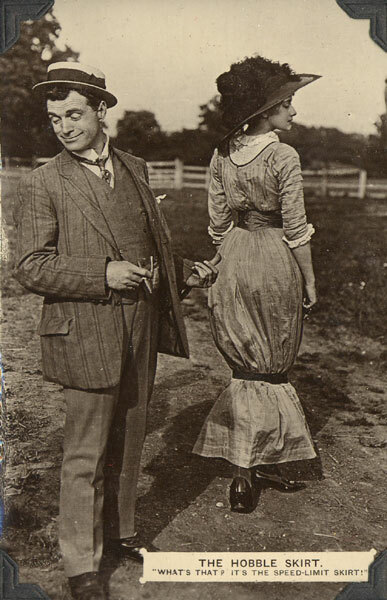 Hobble skirts that were widest at the hips and very narrow at the ankle transformed from floor length into styles above the ankle that opened up at the bottom, allowing for freer movement. In 1915, makeup started to become more popular, literally, as the term itself was considered vulgar, “cosmetics” was the more common expression but applying beauty products was still nothing chic and done only by people in the theater or of dubious reputation and not something for the high society. 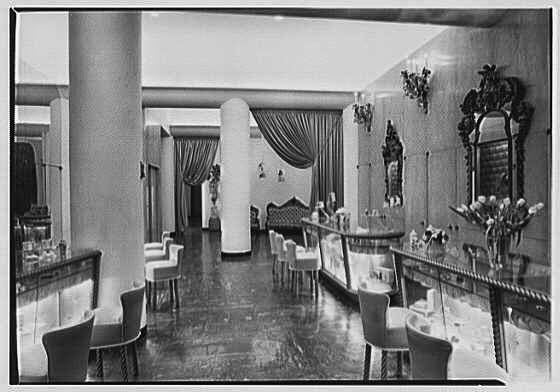 A big milestone for the beauty industry took actually place in 1915, when two major forces opened salons on Fifth Avenue — Elizabeth Arden and Helena Rubenstein. By then, Max Factor, who was going to invent the first lipstick just a bit later had already perfected his first cosmetic product, the «pancake makeup» for sale. And 1915 marked another milestone, Tom Lyle Williams, who was only 19 at that time, founded one of today’s most successful beauty giants: The Maybelline Company. 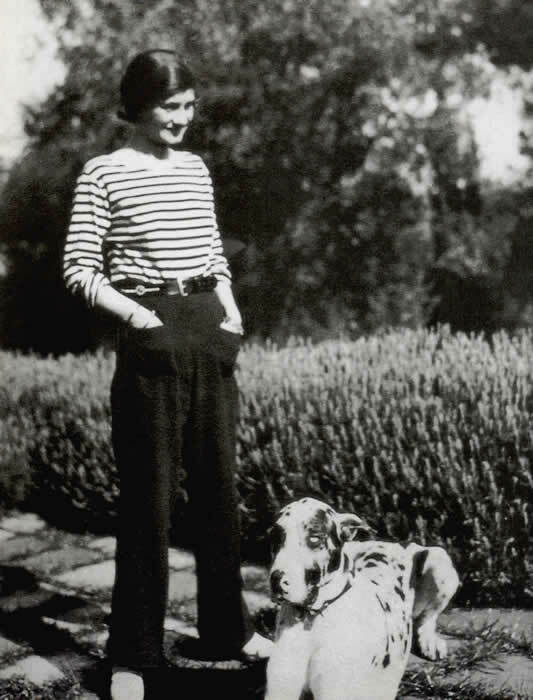 … but one designer that has always interested me the most, Coco Chanel, started to really influence the fashion world in the mid 1910’s. 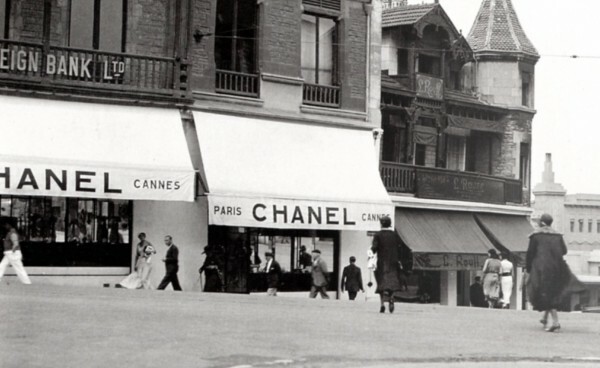 With her reputation firmly established, she opened her first couture house in Biarritz, France in 1915, followed only three years later by the opening of the famous 31, rue Cambon store in Paris. Just after 1915, it became popular to wear a knitted sweater that pulled over the head (yes, a pullover! 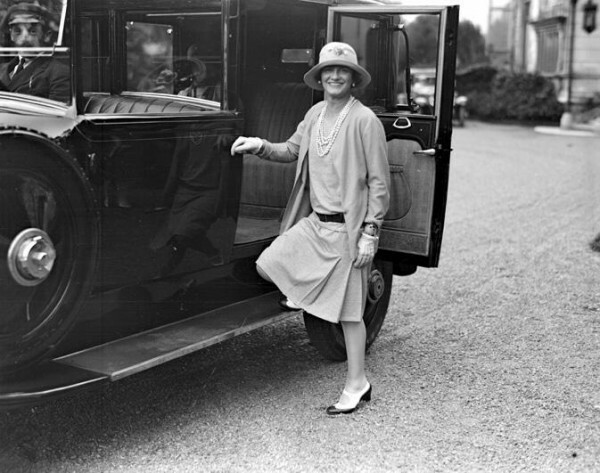 ), with long sleeves, belted at the hip that left a no discernible waist as seen here at Gabrielle “Coco” Chanel in Biarritz around 1920. Just try to imagine the world now 100 years later if Coco Chanel had never been born, we might still be wearing corsets. This amazing woman redefined womanhood in fashion and gave us freedom. She gave us pants, the little black dress, costume jewelry and elegance in general. If we start to think forward now, who might be the designer pioneer of today about whom the world in 2115 will still be speaking? And especially how will fashion change? Personally speaking, for me it is very interesting to see that in 2015 trends are fading, everything is possible and that we are reviving previous eras constantly. There is nothing really new. Today, we are constantly challenged by the limitation of our resources on our planet. Returning to nature will and has to play an important factor. Organic fabrics will mostly be extremely common in 2115. The improvement of technology makes everything from impossible to possible. 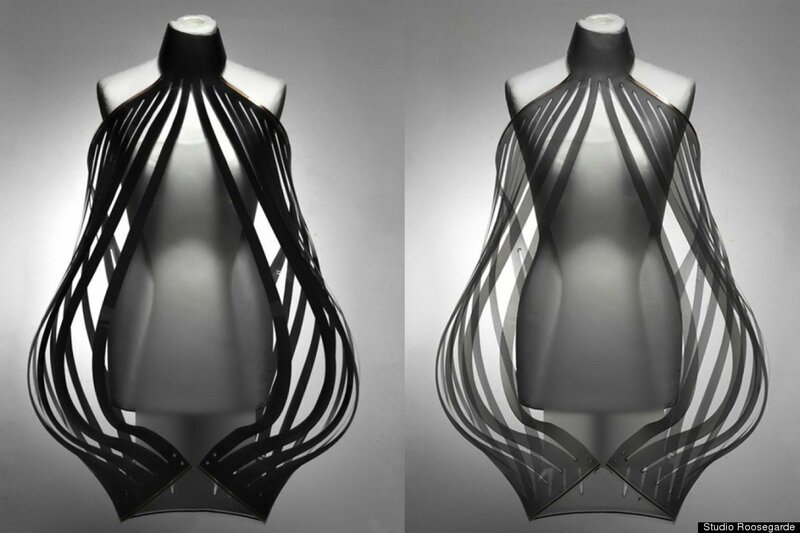 Already very innovative in 2015: Studio Roosegarde has developped a fabric that undresses you. ‘Intimacy‘ is a curious material made from opaque e-foils which turn transparent during personal encounters thanks to a sensitivity to the wearers heart rate. UK-based BioCouture, the world’s first biocreative design consultancy, is already investigating the use of microbial-cellulose to produce lab-grown clothing. 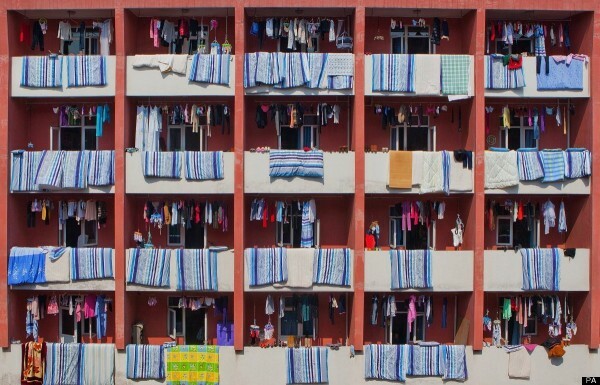 New materials that could be used in clothing production might include fibers that can produce heat in winter and coolness in summer, so that you might be able to wear shorts in the cold season. Probably to go one step further and imagine the beauty industry, there might be clothes that have the ability to constantly speed up your metabolism so that just by wearing them you are loosing weight or have a treatment included that can cure skin problems or fight aging. That is a nice idea, don’t you think? There might be machines in which we put our faces inside in the morning that will apply makeup by themselves. I would miss the fun of putting on my favorite beauty products in the morning though, but I know a gazillion of my girlfriends who would be in heaven with a machine like that. But who could be the Coco Chanel of today, meaning a designer that will be remembered for his or her changes? First to my mind came Stella McCartney who helped to pioneer the vegan leather movement and made environmentally-conscious fashion stylish. 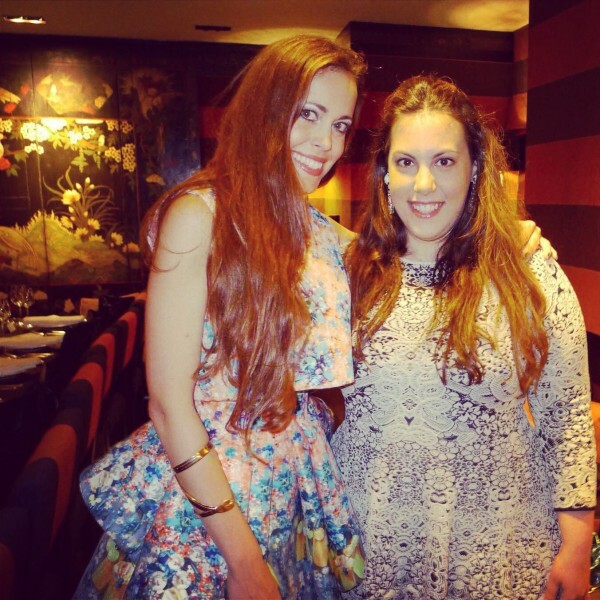 Another designer I thought of is my beloved Mary Katrantzou who made digital prints popular. As you might now printing uses a lot of energy but “with digital printing, prints are directly applied to fabrics with printers, reducing water usage by 95 percent, energy reduction of 75 percent, and minimizing textile waste“*.